“Thousands Across the U. S. Protest Trump Victory”. USA Today, November 10, 2016. I’m also an unabashed Democrat and supporter of Hillary Clinton. I’m fiscally conservative – too often liberals and Democrats think government is the solution to every societal problem, and they implement new taxes or programs without thought about the negative effect of higher taxes on rents, housing prices and middle/low income wage earners. But the election is over. Hillary Clinton won the popular vote. More voters felt she was the best choice for President. But, under the Constitution and the Electoral College, Donald Trump won the presidency. To the protestors and the Trump-supporter-hate-crime-perpetrators I say “Get Over It”. To the protestors, I say: did you vote? Where were you over the last 6 months? Why didn’t you work on registering voters and getting out the vote before Tuesday November 8th rather than taking to the streets in virtually fruitless protests afterwards? Get involved in your government, your public safety and in politics starting today so you can really effect the change you want. I could, like the protestors, write and scream about all the regressive laws and consequences which will take place over the next two years: repeal (rather than fixing) Obamacare, actions against immigrants (although, frankly, Obama deported more illegal immigrants than any prior President), backing away from climate change and environmental protection, and so forth. But, to be honest, Donald Trump will be President and we all need to concentrate on common ground – on all the work that needs to be done to improve the safety, quality of life and economy of the United States. Infrastructure. Both Clinton and Trump correctly proposed massive increases in spending on roads, bridges, utilities and other infrastructure. Let’s get together and do it. Cybersecurity. The Obama Administration has made great strides toward improving our cyber warfare and defense capabilities, and we need to do more. In particular, we need to protect our local and state governments, our financial institutions, our defense industries from the potential of a devastating cyberattack. Let’s get together and do it. Veterans. It is a serendipitous coincidence that I publish this post on Veterans’ Day, 2016. The terrible and stupid Iraq war perpetrated by the Bush-Cheney administration has resulted in hundreds of thousands of mentally- and physically-injured veterans. The Obama Administration has started to correct the awful way the VA Healthcare system has treated veterans, but we must do more. I support a son-in-law – a Marine with 100% disability – by buying him food and helping him with rent and care for his PTSD because his military disability pay and care is simply not sufficient for him to live in Seattle. But many veterans don’t have anyone to help them and end up homeless and wandering the street, causing problems for our police and paramedics and emergency rooms. For example, the Seattle Police Department alone has 10,000 encounters a year with people in crisis on the streets, many of them veterans. Let’s get together and fix this. Mental health and Opioid Addiction. Just as with veterans’ care, many people have mental health issues and/or are addicted to heroin, methamphetamine and other drugs. Up to 60% of the calls a Seattle police officer handles are people in crisis. This must be addressed and it is a bi-partisan issue. Republican Ohio Senator Rob Portman has made addressing opioid addiction a centerpiece of his campaign and his legislative agenda. Let’s get together and do it. FirstNet and support of our First Responders. I joined the First Responder Network Authority because I fervently believe in its mission to build a nationwide wireless network for public safety and our first responders. FirstNet was created by both Republicans and Democrats in bipartisan legislation passed in 2012. That legislation funded FirstNet with $7 billion from sale of spectrum to commercial carriers, and that same sale provided $35 billion or more to reduce the deficit. FirstNet will give first responders – indeed all public safety responders – the technology and tools they need to deal with many of the issues listed above, as well as crime, wildfires and emergency medical care. Let’s get together and do it. Many if not most of our electronics and gadgets will become part of the Internet of Things, perhaps 25 billion devices by 2020. Smart light bulbs, thermostats, DVD players and video cameras are just the start. Utilities will connect every water and gas and electric meter, transformers, valves and the rest of their infrastructure. Industry is creating whole manufacturing plants with every device connected. But IoT is a huge security risk, as shown by the Mirai IoT botnet attack of September 20th. IoT poses both great potential and risk for our society, and, frankly, the IoT needs to be regulated and secured as well as deployed. Let’s get together and do it. The march of technology and loss of jobs. Much Presidential campaign rhetoric talked about the loss of jobs to China or Mexico. But, frankly, only 12% of the 5 million factory jobs the United States lost since 2000 have been lost to trade. A whopping 88% of the job loss is attributable to automation and robotics! Indeed, U.S. manufacturing output increased by 18% between 2006 and 2016, while the number of jobs decreased. The issue we need to address is finding living wage jobs which can co-exist with the never-ending march of technology and automation. Let’s get together and do it. I agree, there is a time to protest, and I’m certain I will be in the streets at some point in the next two years. But I’m also going to roll up my sleeves, find common ground on the issues I’ve listed above, and work to continue the improvements in the economy, quality of life, technology, infrastructure and public safety which have happened in the years since the beginning of the Great Recession (graphic at right). I encourage you to join with me. Let’s get together and do it. FirstNet Business Plan: Mission Impossible? How can FirstNet possibly pay for its initial construction, subsequent network enhancements and long-term operations? While extremely challenging, there is a way. The Spectrum Act of 2012, which created the First Responder Network Authority, specifically requires that the nationwide public-safety broadband communications network that FirstNet is building pays for its own long-term operational costs. It also requires that any income derived from the network is used to fund improvements and operations. This is going to be extremely difficult to accomplish, and some may think it to be impossible. Like the Mariners’ string of depressing seasons and lost opportunities, this month’s botched rollout of the federal Department of Health and Human Services (DHHS) healthcare.gov website represents a huge lost opportunity for the federal government. And some of the root causes of these two fiascos are amazingly similar. Washington state’s own, separate, health benefit exchange registered phenomenal success, enrolling over 35,000 people in three weeks. How can one state succeed where the federal government, with all its resources, cannot? Read the rest of the article on Crosscut here, including 34 comments. – Just Another Apps Competition? The first-ever Evergreen Apps Competition came to a close last night in Seattle as we recognized the top applications developed over the last six months with government open data. Top honors went to Living Voters Guide with other prizes for WhichBus, Trash Backwards and Food Inspector. I was one of the judges for the event, and, I have to admit, I had a lot of fun downloading and testing the apps on Android and iPhone platforms, as well using some apps on the web itself. Full results are posted on the Evergreen Apps website and on Geekwire. “Apps competitions” might seem a little passé these days. It sure seems as if there have been dozens of them, starting with the original Apps for Democracy in the District of Columbia in 2008. New York City has had at least three renditions of their Big Apps contests and San Francisco continues to innovate with a whole catalog of apps. What makes this one different? And where should we be going with Government data and apps contests in the future? Evergreen Apps is different because it was a joint effort by the City of Seattle, King County and the State of Washington. Three governments at different levels, multiple different open data sites and $75,000 in prizes. Plus, of course, it was held in Seattle, center of the technology world, with over 100,000 people employed by companies ranging from Microsoft to Cozi to Amazon to Google to Socrata to Urbanspoon. In return for the prize money, the rules stipulate the apps must be maintained an enhanced for a year. That, hopefully, will give some longevity to these apps. Alas, many of the results of apps contests elsewhere have resulted in dead ended apps which no longer work for a whole variety of reasons ranging from changes in the underlying data structure to developers who go on to other things. A huge issue is sustainability. One of my very favorite apps from the original Apps for Democracy contest – “Stumble Safely” which maps crime around your present geographic location – appears to be long dead. Developers and their startup companies can’t live on coding alone – cash really REALLY helps, but apps built on government open data are hard to monetize. Another huge problem is non-portability. An app built in Seattle with data.seattle.gov information works in Seattle, but not in LA or Chicago or Podunk Center. We need either much better standards for the underlying datasets, along the lines of Google’s GTFS for transit data. Many transit agencies have adopted this format because increasing their ridership is core to their business, and using the standard advances that goal. As an alternative, we could use a schema and data interchange process to mask the differences in data between different cities, counties and states. I have great hopes for Socrata, a Seattle-based technology company which hosts the federal data.gov, data.seattle.gov, and hundreds of other government open data sites. They are one of the movers behind cities.data.gov, a first attempt at combining datasets from multiple cities. If cities.data.gov or maybe a future states.data.gov or even restaurantinspections.data.gov can be made real, then an app writing against those open data sites would work anyplace in the world which contributes data. Another huge problem is simply the lack of governments who participate. Sure, there are 176 federal government agencies who make data open, thanks to the commitment of the Obama Administration, the United States CTO Todd Park, his Deputy Chris Vein, U. S. CIO Steve Van Roekel and data.gov evangelists like Jeanne Holm. But only 19 cities and counties in the United States, and only 34 states have open data sites. See the list here. And many of those have incomplete or only a few datasets. When are local and state governments going to “get it” that transparency and open data are a way to enlist a wide site of private companies and developers into helping them better serve their constituents? Finally, there is the abysmal situation with transparency in lawmaking. Most state legislatures and city/county councils and commissions put proposed laws and ordinances on their websites, but in PDF format or non-machine readable format, making them almost impossible to consume with apps. Is this stupid, shortsighted or maybe intentional? A positive development here is the recent launch of congress.gov, which the Sunlight Foundation hails as putting much more machine-readable bulk data online. Initiate a nationwide or at least statewide (for individual states) effort to standardize the format of the open data, or create data interchange software to mask the differences in the underlying data, as Socrata is trying to do. Collaboration such as that shown by a City, County and State at Evergreen Apps is a great step forward on this path. Establish statewide and GSA contracts with private companies to host the data. The State of Washington has done that and it ismuch easier for cities and counties in that state to build their own open data sites. Data.seattle.gov was live two months after we started the project, by using such a contract. Pass laws which mandate all data produced by a city, state or county which can be on an open data site is put there. New York City leads the way on this. Also mandate city, county and state legislative processes be open with machine-readable data, as congress.gov is starting to do. In the end, of course, it all comes down to visionary leadership. President Barak Obama was really visionary in demanding open data and transparency from the Federal Government on his first day in office, on January 21, 2009. Then federal CIO Vivek Kundra and CTO Aneesh Chopra carried that ball forward. Mayor Mike McGinn in Seattle launched data.seattle.gov shortly after taking office in 2010 and I was proud to support him in that as Seattle CTO. Other visionary leaders range from Mayor Gavin Newsom in San Francisco to U.S. Deputy CTO Chris Vein in the White House to Mayor Michael Bloomberg in New York City. But, alas, you can’t legislate leadership. You can only hope voters recognize it and cast their ballots for visionary candidates, and those elected officials, in turn, choose visionary CIOs. We’ve got a great start on the brave old world of Government Transparency, and, with initiatives like Evergreen Apps, we’ll continue to push the “open data” ball forward. What’s a “Datapalooza” and Why is the White House having One? The last four years have seen an explosion in government “open data” with thousands of datasets posted online for public use. The City of Washington DC, under the leadership of then-CTO Vivek Kundra, was the first to post such data online in a “data catalog”. The effort vastly expanded when President Obama took office and, as one of his very first acts, directed the federal government to be open and transparent. Data.gov now has 172 participating agencies tens of thousands of datasets. Cities, counties and states have gotten into this “open data” act too – as of this writing 34 states and at least 15 cities and counties have open data sites. And the effort has gone international, with at least 30 nations and other entities posting data. A whole new industry has spawned, with companies like Seattle’s Socrata (host of data.gov and data.seattle.gov among many others) and Microsoft now powering the open data sites. Data which has been hard to get in the past is now freely available – government employee salaries, crimes, restaurant inspections and even White House visitor logs are now on these websites. Some datasets are updated in real time – in Seattle if you hear a fire engine screaming past your house, chances are the call is already posted to Fire 911 Calls at data.seattle.gov. Have you ever looked at these datasets? Kinda like big spreadsheets. Sometimes with indecipherable pieces of data like “latitude” and “longitude” instead of street addresses. Useful in research, I guess, and also if you are data or tech geek and majoring in geography is helpful too. How do most people really consume their information these days? Apps, of course! And not just smart phone apps, but also table apps, laptop apps, web apps, and even TV apps. The missing link between open data and usable apps is developers. They create the apps which take the open datasets, make them into apps usable for the typical citizen, and perhaps even mash the data up with other information which might be useful such as a map (plotting those pesky latitudes and longitudes) or traffic information. 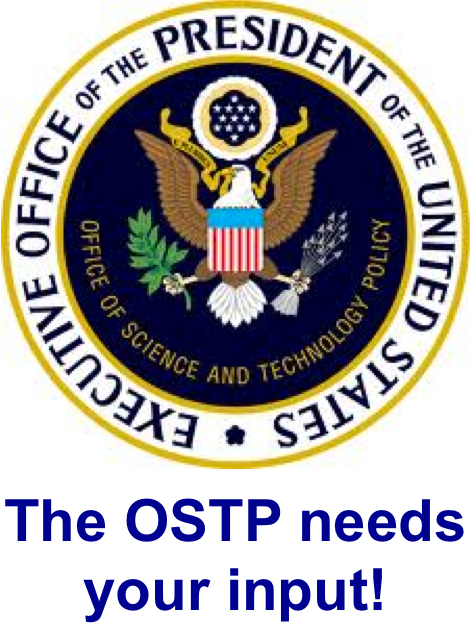 Now that data.gov and related sites are online, the Office of Science and Technology Policy in the White House is actively trying to encourage developing such apps by businesses, government employees and, really, anyone with a bit of skill in coding. The White House sponsors events they call “datapaloozas” to highlight cool apps which use open data to create information and value for citizens. The next datapalooza is scheduled for Friday September 14th at the White House. It will highlight “public safety” in the broad sense – not just law enforcement and firefighting and emergency medical – but also public health, product safety, transportation, and disaster readiness. It will include not just an “expo” of apps which have already been developed, but also an announcement of new safety data resources about natural disasters and to improve preparedness and emergency response. A lot of these apps exist already, of course, as a result of apps contests in Washington DC (Apps for Democracy), New York City (Big Apps 3.0), and elsewhere. 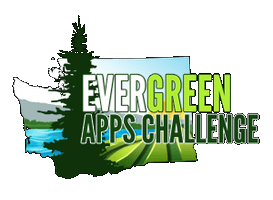 In fact, I’m presently judging the Evergreen Apps Challenge here in Washington State, with $75,000 in prizes offered by Seattle, King County and the State of Washington – results of that contest will be announced on October 1st. It will be fascinating to watch results from the “datapalooza” on Friday (alas, I don’t know if it will be live-streamed or not, yet). And I’ll be blogging more about these results, hoping to see apps not just with a major coolness factor, but also ones useful to keeping you safe every day (think restaurant inspections) as well as during disasters. If you know of such an app, or have an idea for one looking for development, make a comment to this blog or drop me a line. Who knows, maybe a “killer government app” is “somewhere, out there”. Note: Deputy United States Chief Technology Officer Chris Vein spearheads the White House effort. He’s uniquely positioned for this work, as he brought the open data site for the City/County of San Franciso online in his previous position as CIO of the City by the Bay. Osama Bin Laden’s death is a welcome event for most people, especially in the United States. Yet his life profoundly changed the direction of information technology as it is used in City, County, State and the Federal government. Indeed, my own life is vastly different than it would have been if the World Trade Center towers had not been destroyed on September 11, 2001. The most visible effect for most Americans, of course, is our two wars in Afghanistan and Iraq. Even there, the effect is distant from the majority of us: relatively few families have friends or relatives who serve in the military. (A notable exception – reservists and the National Guard – I have a friend in the Seattle Parks Department who has been activated three times, once each for Afghanistan, Iraq and Djibouti,and now has been notified of an upcoming fourth deployment). Of course anyone using airports notices the “new” fedgov bureaucracy, the Transportation Security Administration and its wide variety of high and low technologies from “spread ‘em” millimeter wave body scanners to “feel ‘em up” intrusive body pat-downs. But Bin Laden’s war on the United States changed much more in the way we live and govern our cities and counties and states. After September 11th, the threat of terrorist attacks took a prominent place alongside earthquakes and hurricanes as a potential disaster. Now we worry about “dirty” bombs, and nuclear weapons smuggled in aboard ships and bio-attacks (remember the anthrax delivered to Congress?). In Seattle, we’ve done vulnerability analyses on likely targets such as the Space Needle, Microsoft headquarters, Boeing plants and Washington State ferries. Indeed, you can often see Coast Guard fast attack craft zooming alongside ferries. And traffic barriers and bollards protect buildings which may be targets. Most visibly from a technology point of view, interoperable communications for first responders has taken center stage. In the World Trade Center attacks, New York City police officers in the buildings received the radioed notice to evacuate, but firefighters – operating on different radio channels – did not, and many of them died as a result. Many meetings have been held and much legislation proposed, but as of this writing – almost ten years later – we have few concrete improvements in interoperability. Notably, the Obama Administration has proposed a $12 billion grant program, financed by the sale of spectrum, to build a nationwide interoperable public safety wireless broadband network. http://www.cioupdate.com/news/article.php/3922331/Obama-Looks-to-Drive-RD-Wireless-Broadband.htm Whether Congress has the ability stop its internal bickering and actually enact legislation for this program is an open question. Nevertheless some cities and states, such as Charlotte, Harris County (Houston), Mississippi and the Los Angeles and San Francisco regions, are boldly building the first of these new, vital, networks. Other changes include a new Fedgov Department, Homeland Security, to improve our readiness to combat terrorist threats. It’s initial steps to help us prepare for terrorist attacks include not only the TSA, but also the ill-conceived color-coded terrorism threat level (i.e. nuclear urine yellow) system. Recently, TSA and air marshal programs, fast FEMA responses, and Coast Guard interdiction of threats have allowed DHS to come into its own. Whole grant funding programs have sprung into being as well, for example the Urban Area Security Initiative (UASI). UASI is funding thousands of programs to help harden vulnerable targets, equip first responders with personal protective equipment, and conduct exercises and training to improve our ability to withstand both terrorist events and disasters. In the Seattle area, we’ve built a secure fiber network to interlink the seats of Government and Emergency operations Centers in central Puget Sound. Seattle – and many other cities and counties – have invested local funds to construct new, state-of-the-art 911 centers and emergency operations centers. Concerned about cybersecurity threats, we’ve hardened our control networks which manage the electricity and water grids. Indeed, the whole field of cybersecurity and information technology security now has new life confronting not just terrorist threats, but the very real problems created by hackers, phishers and identity thieves. With the help of homeland security dollars, we here in Seattle are building a cyber event logging system which will help correlate cyber security events across the Puget Sound Region. Is America safer now than in 2011, especially given Bin Laden’s death? I don’t know. But I do know we are somewhat better prepared to meet disaster and terrorist acts. We have disaster preparedness plans and we exercise them. We are a more connected society with wired and wireless networks, and we are keenly aware of potential cyber security threats. We are more vigilant. But we have a lot – a LOT – more to do. President Obama, Vice-President Biden and their Chief Technology Officer Aneesh Chopra have shown great leadership in boldly proposing to fund a new public safety broadband wireless network. The FCC has granted waivers to 20 cities, regions and states to build these networks. Courageous leaders in Congress such as Senators Rockefeller, Hutchison, McCain and Lieberman, and Representatives Peter King and Benny Thompson, are proposing legislation to finally build the nationwide networks first responders need to meet the challenge not just of terrorist events but also the daily incidents and disasters. Even the New York Times has endorsed these efforts. Will their leadership overcome the naysayers in Congress and elsewhere? For the sake of the nation, for the health and safety of every one of our citizens, I hope it does. Certainly there is a movement in the United States today which believes government is too big, too wasteful and burdens the economy on the backs of the “average” American citizen. This attitude is certainly a central tenant of those who believe the “Tea Party” line of thinking. The truth, of course, is almost exactly the opposite. Who are those “dang guvmint bure-crats”? Are they the 1.4 million members of the active duty armed forces who regularly spend 12 to 18 months fighting our wars in Afghanistan and Iraq, as well as being deployed throughout the world in places as diverse as Kazakhstan and Bosnia and South Korea? Or maybe they are the 848,000 National Guard and Reserve soldiers who are regularly uprooted from their families for two or three deployments overseas? People like Major Aaron Bert of the Seattle Parks and Recreation Department who has deployed three times, once each to Iraq, Afghanistan and now Djibouti. (I have a special affinity for Reservists, having served 22 years in the United States Army Reserve retiring as a Reserve Major). Are those bureaucrats the two million police officers, firefighters and paramedics (many of them volunteers) who respond to our urgent calls to 911 for help when we are having heart attacks or are struck by drunk drivers or have our purses snatched or are trapped inf burning buildings? Bureaucrats like the 394 firefighters who died running up the stairs of the World Trade Center on September 11, 2001? 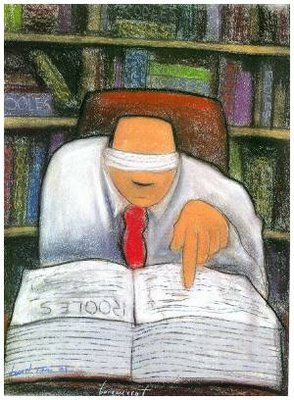 Perhaps the bureaucrats are the 3.5 million public school teachers who barely make a living wage and yet are expected to educate classrooms too full of often-disrespectful kids who sometimes are undisciplined at home? Or the tens of thousands of employees at our premiere public universities such as the Unviersity of Washington who have made those schools the best on the planet – so much so that thousands of students are attracted from nations across the world. I’m sure we could do without all those bureaucrats who maintain our highways and plow the snow from them in the winter (pushing snow rather than paper), or those pencil-necked geeks who maintain our water reservoirs, pipes and systems so we have safe drinking water or those desk-jockeys who staff our parks and recreation centers so we and our families can have fun after a day full of labor to pay our taxes. Gee, why do we need those building officials and permit inspectors? Can’t we all be trusted to build our homes and businesses so they are earthquake-proof like the buildings in Haiti? And then there are those danged public health officials and nurses who run community health centers, and folks in the Department of Agriculture or the Food-and-Drug Administration who inspect our food and our restaurants – they are obviously just harrass wonderful businesses like the Wright-County Farms in Iowa who never ship salmonella-laden eggs, serve tainted food or prepare it in dirty kitchens. Perhaps we can live without those State govmint bure-crats like child protective services workers or nursing home inspectors who cannot make a single mistake because if they do a child may starve to death or an elderly person may perish. Then there are those Federal government bure-crats like the Environmental Protection Agency who have to clean up the superfund site toxic messes made by private capitalist companies who made their money, polluted the environment, and left the cleanup burden to taxpayers. Why do spend tax dollars on a National Park Service or State Parks Service or Seattle Parks and Recreation Department? Good, honest tax-paying citizens can take care of those parks themselves and leave them in pristine condition, right? Certainly we can do without the infernal Revenue Service similar agencies that collect taxes, beating them out of poor hardworking Americans so we can pay the soldiers and firefighters, and those other pencil-pushers who maintain our roads and public spaces. Dang bureaucrats like Vernon Hunter, a 68 year old Vietnam war veteran who was doing his job collecting revenue so we could pay our soldiers when a domestic terrorist, Joseph Stack, killed him while at the same time endangering the lives of 200 other American citizens. Yup, those dang guvmint burecrats need to keep their hands off my social security and my Medicare and my god-given right to drive a car whether I have a license or not and no matter how intoxicated or high I am. We need to fire all those danged accountants who make sure the budgets are balanced and the money is honestly spent. And get rid of all those information technology bureaucrats who maintain the websites for government information or maintain the public safety radio networks for dispatching cops and firefighters, or who maintain the servers and software which prints all those useless Medicare and social security checks. Then there is the Timothy McVeigh method for handling government. Driving right up to the Alfred P. Murrah federal government building in Oklahoma City 15 years ago, blowing it up, killing not just 159 federal employees but nineteen of their innocent children in the childcare on the first floor too. But you know, the FBI agents and information technology professionals and electric utility lineworkers and solid waste collectors have families too. They live in neighborhoods right next to people who don’t work in government. They mow their lawns and worry about paying their bills (and they pay their taxes, too). They worry about losing their jobs (if they haven’t already) in the Great Recession. They worry about the huge (and growing) federal deficit, and wonder if they will be able to survive in retirement. They attend church and buy groceries at the local store and have their kids in local schools. They want a good life for their children, and are proud of the quality of life they provide for all of America. They are dedicated to operating great libraries and museums, schools and colleges, transit and highway systems. You would not want to live in a nation without these “bureaucrats”. They are proud citizens of cities like Seattle, states like Washington and the United States of America. And none of us are “dang government bure-crats”.